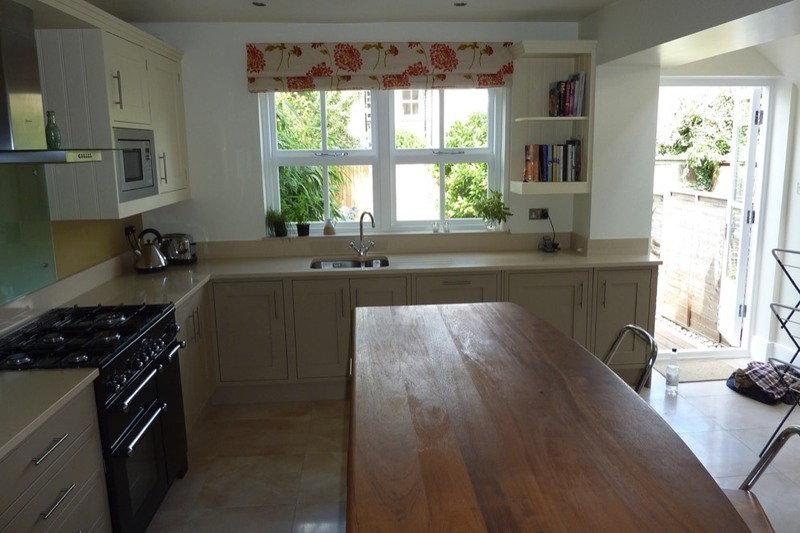 This square in frame bespoke hand painted kitchen in Twickenham has a very fresh country feel to it due to the Farrow & Ball colours were chosen by the client. 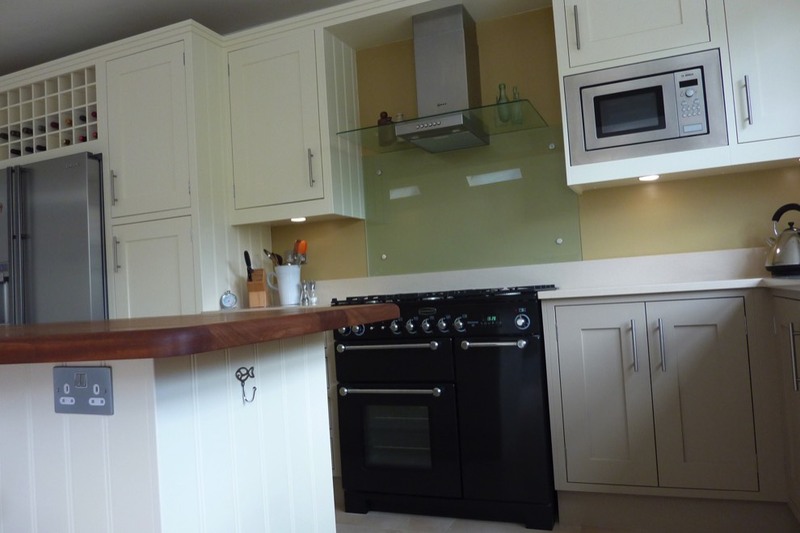 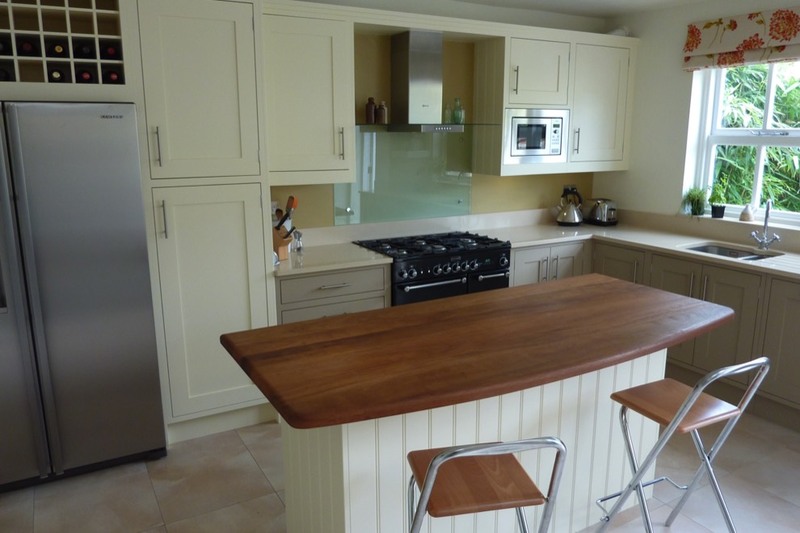 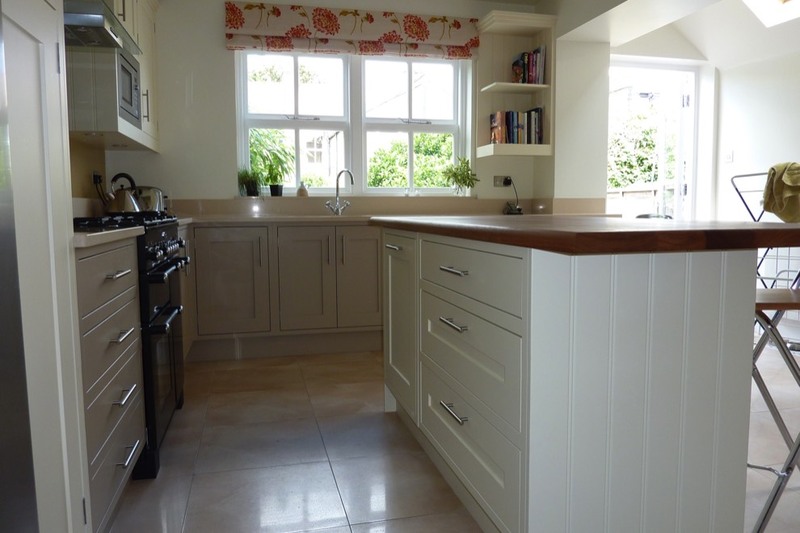 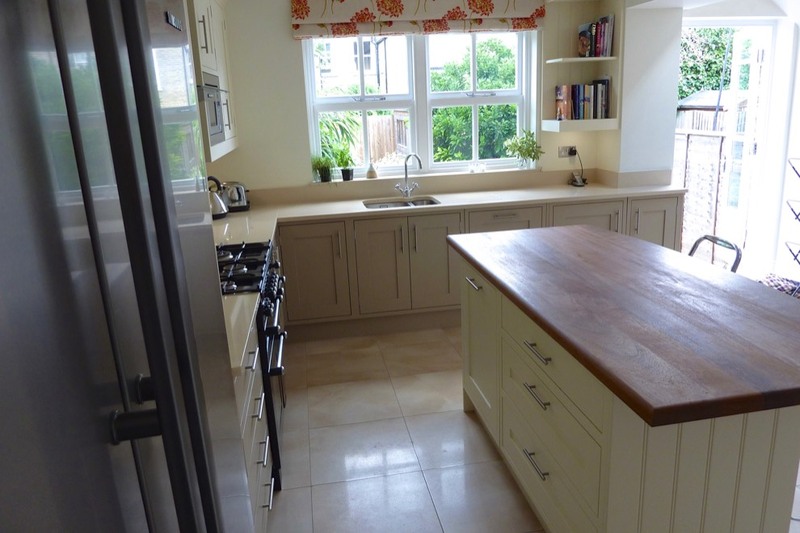 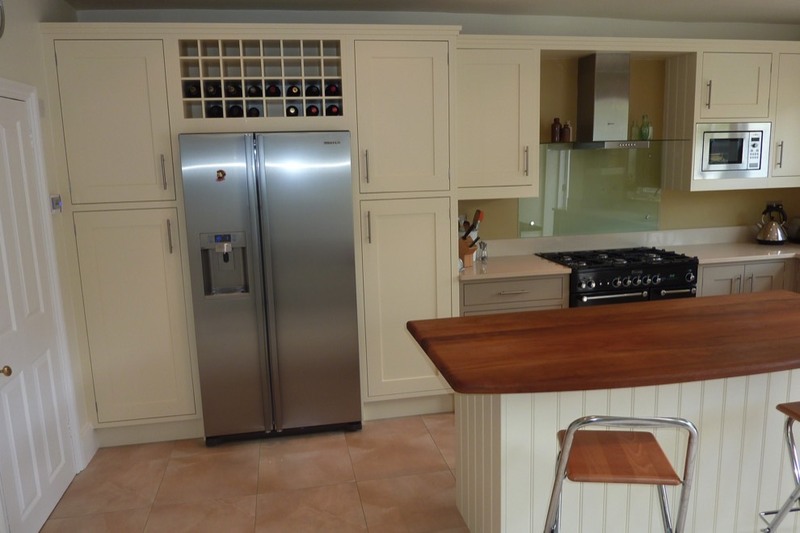 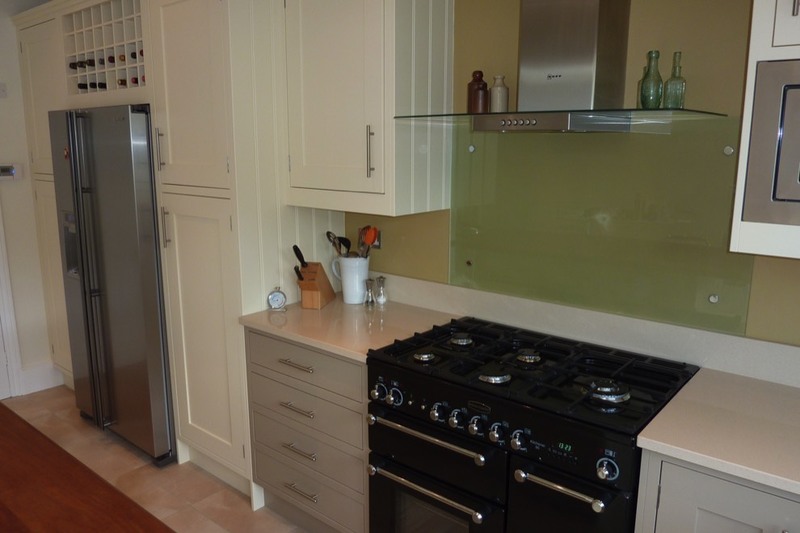 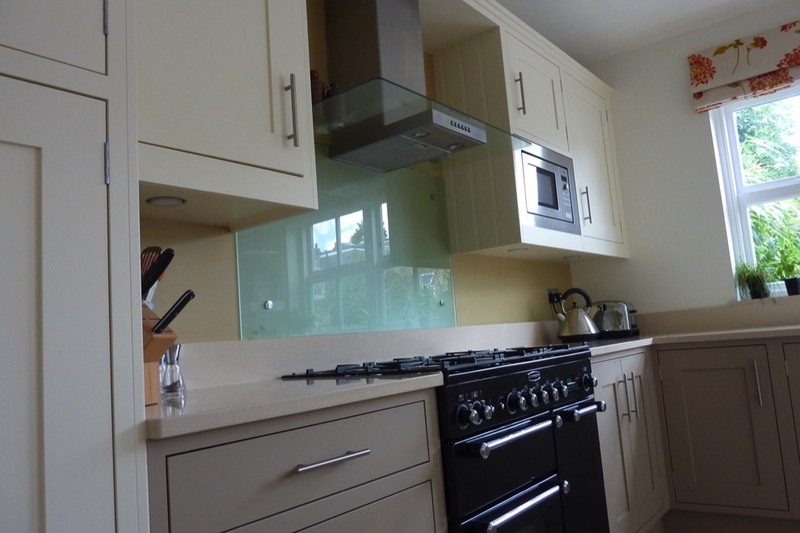 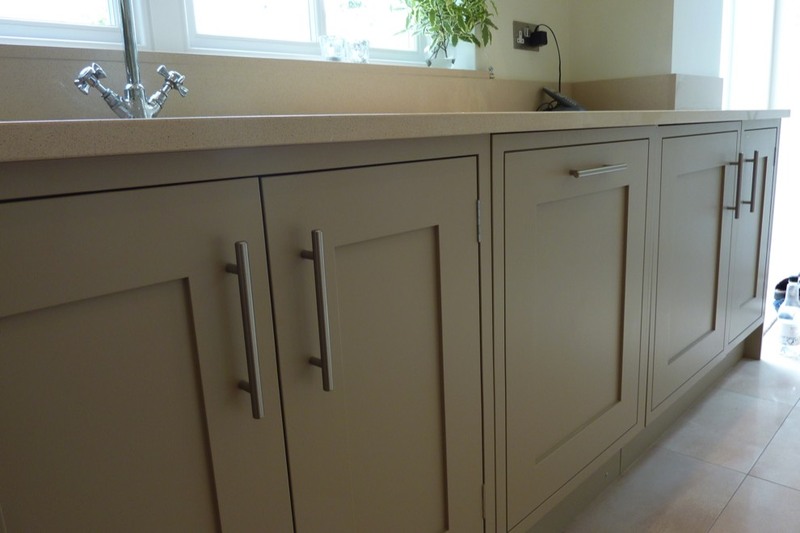 The kitchen was supplied, installed and hand painted by Teddington kitchens, with Iroko hardwood worktop to the island and beige coloured Arena quartz worktops to the rest of the kitchen. 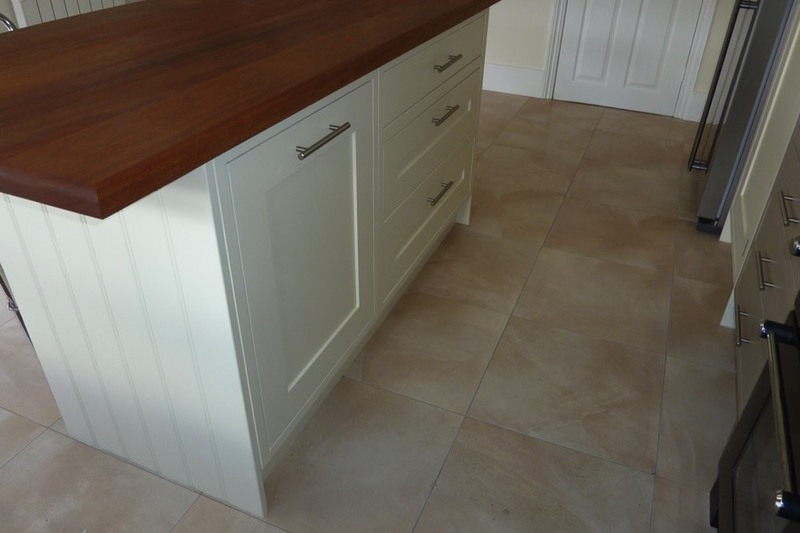 The iroko worktop has wide staves ( the size of the sections of wood which make up the worktop) which make it appear to be a single piece of wood, unlike small stave worktops which look like a butcher's block.